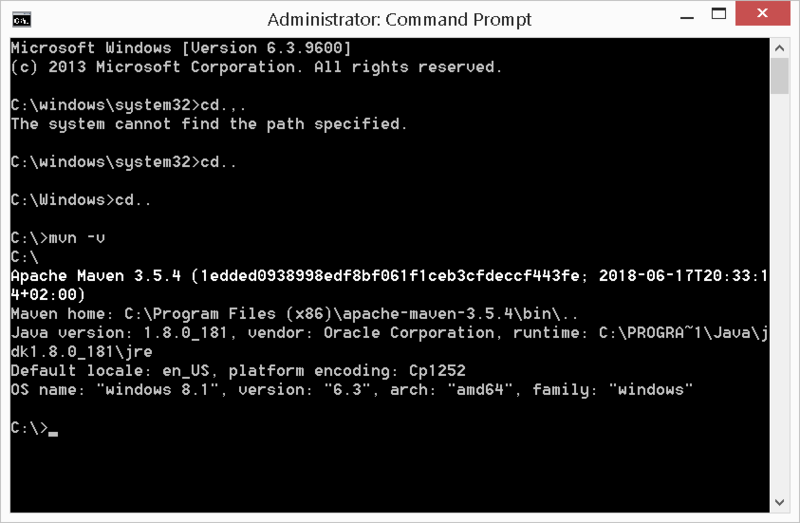 In the following article, we will find out how to install Apache Maven on Windows. We will be using Windows 8.1 and Maven 3.5.4 in this guide, but the instructions should also be valid for other software versions. Once the package has been downloaded, you can extract it to your computer in whichever location is convenient. We will use the program files directory on the C: drive for this guide. Now that we have Maven extracted, we need to tell Windows where is our Maven bin folder. 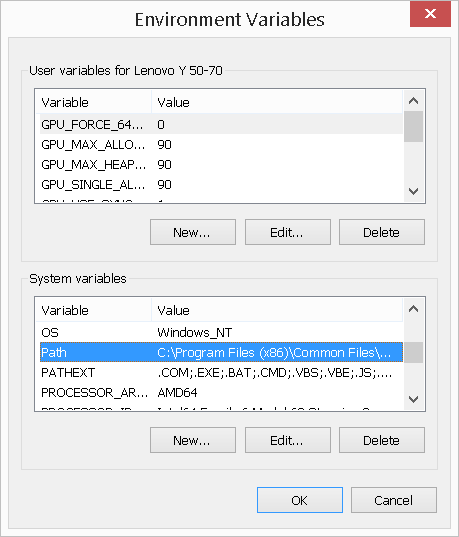 to do so, lets open the system environment variables. 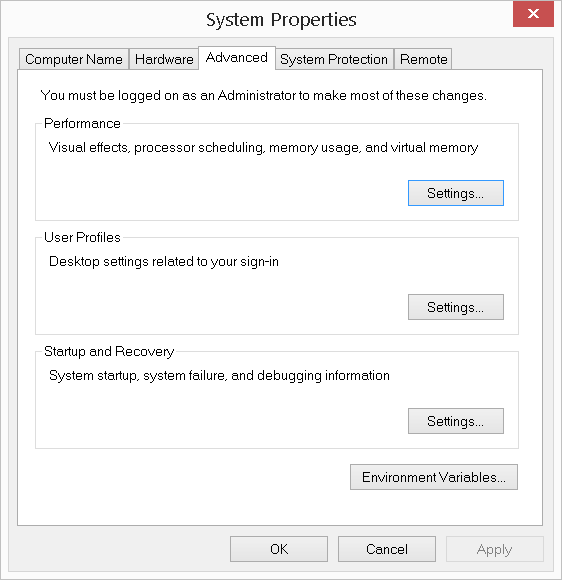 If you are not sure where to find them, just search for “system environment variables” in the start menu. This should open up the system properties window. Click on the advanced tap to find the “Environment variables” button. Now we will need to add the Maven bin directory to the “Path” variable. to do so, just click the edit button and add the path to the bin folder to the value field. Make sure to add the semi-colon separator. And thats it. Now you have maven installed and ready to roll!